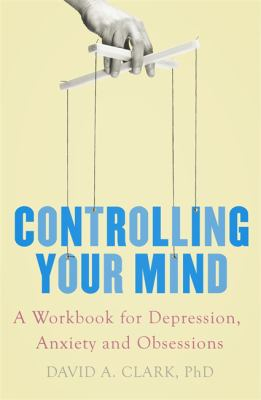 Controlling Your Mind : A Workbook For Depression Anxiety And Obsessions - ubiq bookshop: the best place to buy books! Stop disruptive, negative thoughts at their root with a new method of mental control from one of the most distinguished figures in the field of CBT. Our mind is always active, capable of generating free-floating thoughts that are entirely disconnected from each other and may have little relevance to our current situation. Sometimes these thoughts take on a darker, more negative tone because they're triggered by a stressful or problematic situation. These unwanted intrusive thoughts play an important role in the persistence and severity of anxiety and depression. Based on new findings on the nature of mental control, this book targets negative, intrusive thoughts with therapeutic strategies based on cognitive behavioural therapy (CBT).